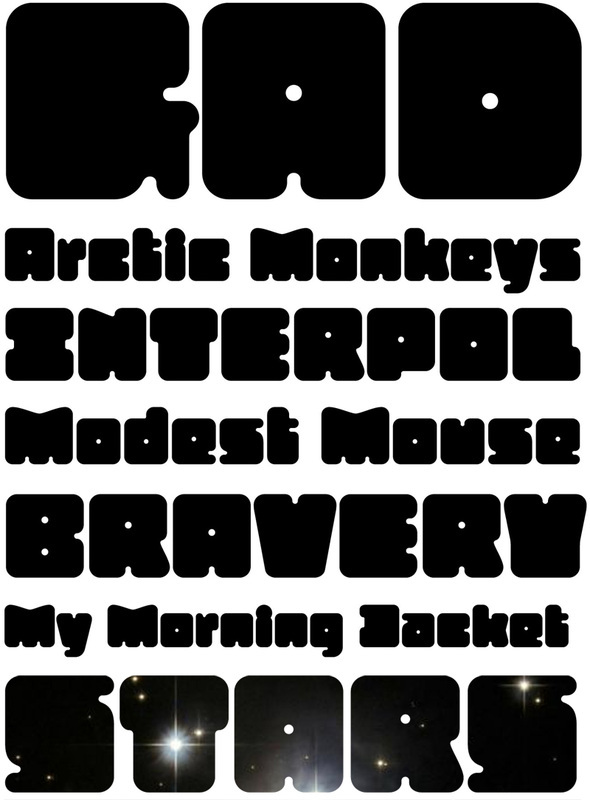 Many current poster artist like to reference the graphic type styles that were popular of ’60s and ’70s. Zaftig Pro is a contemporary font that takes the geometric and blocky inspiration from that era but then steps off in a modern direction. Side by side camparison of Zaftig Pro Regular and Titling Alternates feature turned on. At first glance, it may appear that all the caps in Zaftig Pro are the same width, but certain letters have been designed proportionally for a better flow. However, if the designer would prefer to stack the capital letters in even columns, like blocks, then one can use the Titling Alternates feature. In this feature the metrics of all the capital letters are the same, and certain letters have been designed narrower, allowing for seamless stacking. The space, bullet, asterisk have also been given the same monospaced metrics in this feature to make stacking easy. The Small Caps feature in Zaftig Pro is designed so that the small cap glyphs are the same height as the lowercase. 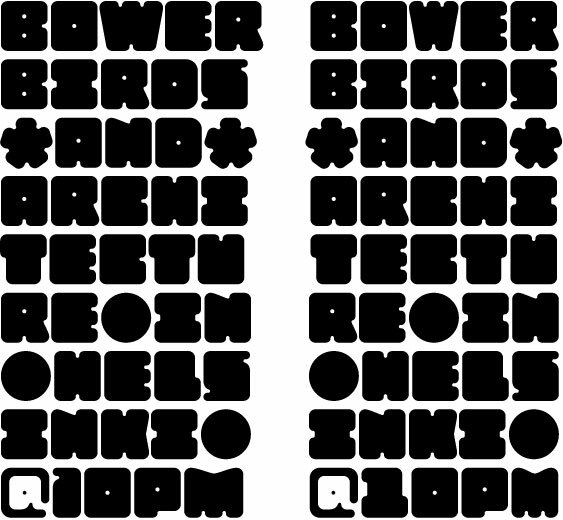 This allows the graphic designer not only the option of small caps, but also the ability to mix and match both kinds of letters to create a distinctive style. There are also alternate numerals in the Small Caps feature that match the height of the small caps. In Stylistic Alternates 1 you will find alternate designs for the Q, A, I, J, L, n, and u glyphs. Or you can find alternates in the Glyph Pallet of your favorite OpenType savvy application. Zaftig Pro is more than it appears on the surface. This OpenType font contains over 1200 glyphs and language support. That makes it an international font which contains letters for most languages that use Latin, Central European, Cyrillic, and Greek scrips.